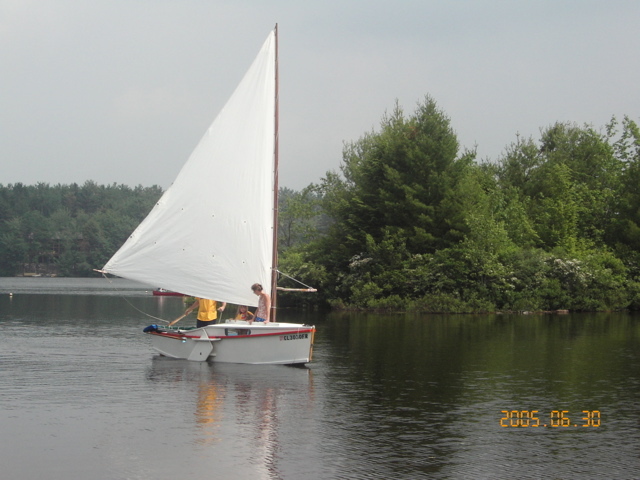 A rare photo of Cream Cheese under sail taken by Norm. CLC Pocket Ship in the background. Last Saturday, Julie and I met up with the Shallow Water Sailors in the Chester River on the eastern shore of the Chesapeake Bay. They were in the middle of their spring cruise which started on Thursday and ended on Sunday. 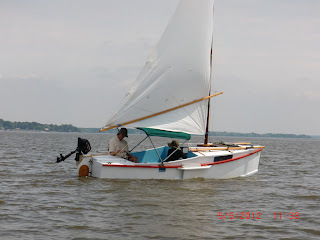 It was great to meet other small boat enthusiasts and sail with boats that I had read about for years but never seen. There were three Dovkies, two Shearwaters, a CLC Pocket Ship, a Normsboat, a Core Sound 20, a Montgomery 17 and a few other types. 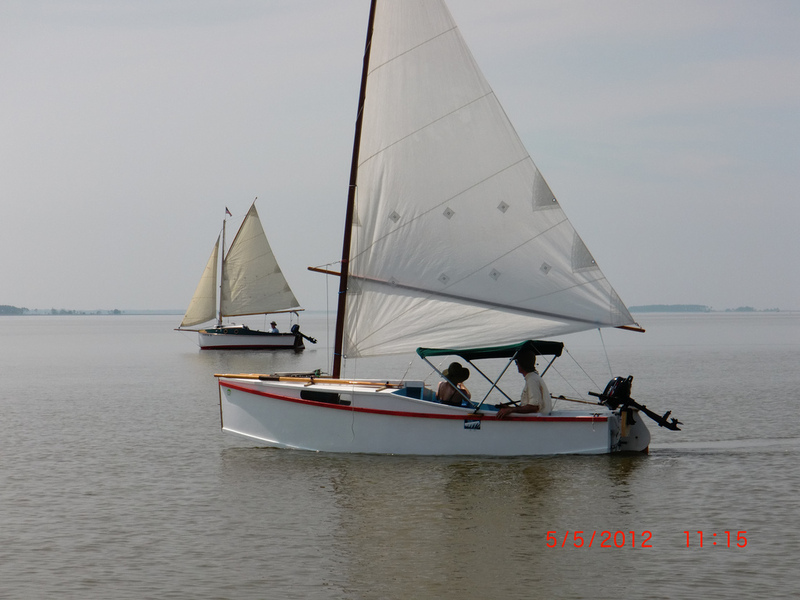 We launched at Long Cove, a Kent County boat ramp and marina with a lot of working craft. As we sailed out of the cove, we met up with the flotilla heading south - almost like we had planned it that way. We spent a leisurely hour of sailing in company and watching a Lightning class dinghy race. 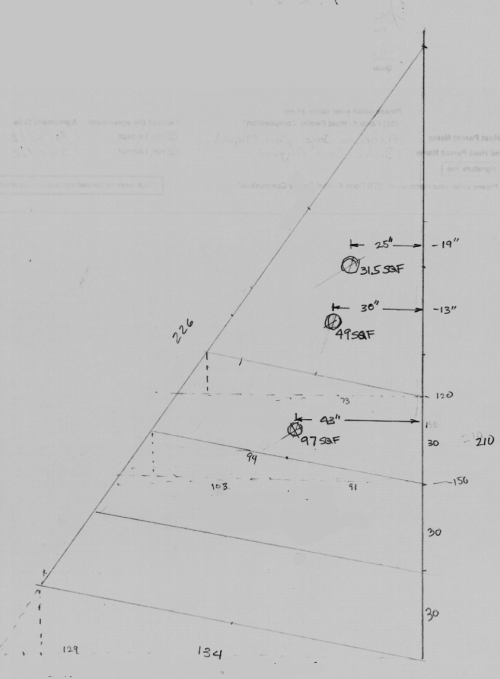 Upwind leg. Notice how she is down at the stern. We headed across the Chester river to a small beach to stop for lunch. The upwind sail in about 10 mph winds gave me an opportunity to see how each boat performed. I was impressed with the speed of the Normsboat, Dovkie, Core Sound 20 and the Pocket Ship. In particular, I was surprised by the performance of the Pocket Ship because it just seems so cute and shippy. I had assumed her looks came at the expense of performance, but I was proved wrong: she points well and goes fast. At the beach we got a chance to meet some of the crew and talk about boats and cruising for a while. On the way back, the clouds rolled in and wind picked up to about 15 to 20 mph and we screamed back to the ramp on a broad reach, sometimes breaking 7 mph, which is very fast for Cream Cheese. The new changes to the reefing system worked out well and we were able to tie in a reef with much less hassle than before. The new oar port covers kept the cockpit dry the whole time, something I don't remember happening in a long time. It was a great day and I look forward to more adventures with new friends.